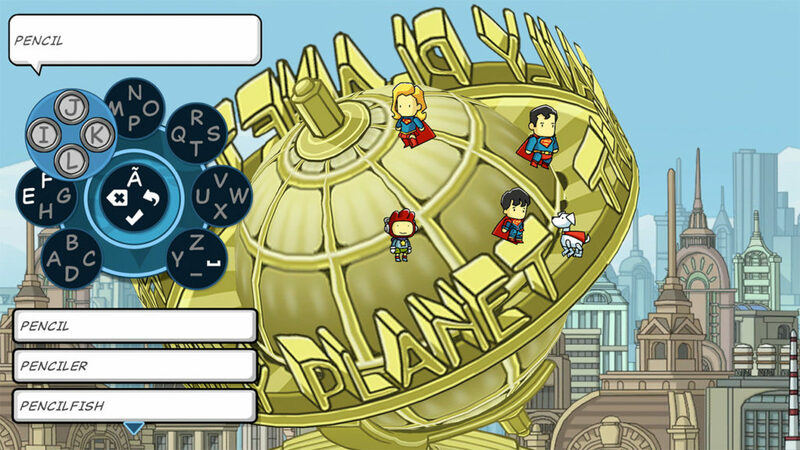 Scribblenauts, as a series, can be described as such: you, playing as an odd-hat wearing hero named Maxwell, solve puzzles by summoning objects, animals, people – you name it – by writing their name in a notepad that can bring to life (almost) anything that you could dream up. It’s a concept that is simple as an idea alone, but in its execution can be quite impressive, as the ‘sky being the limit’ for variations is kind of a daunting developmental process. 9 years after the release of the initial Scribblenauts for the DS, the series has stayed true to the simplicity of this format, while sequentially adding more dynamic adjectives and fleshing out the game’s worlds to offer bigger adventures. Scribblenauts Mega Pack continues this trend of expansion, bringing sister-games Scribblenauts Unlimited and Scribblenauts Unmasked: A DC Comics Adventure as one collection to Nintendo Switch, Xbox One, and PS4. Ultimately, however, it’s on Switch where these games make the most sense, given the games’ portable, pick-up-and-play nature; especially for younger kids. 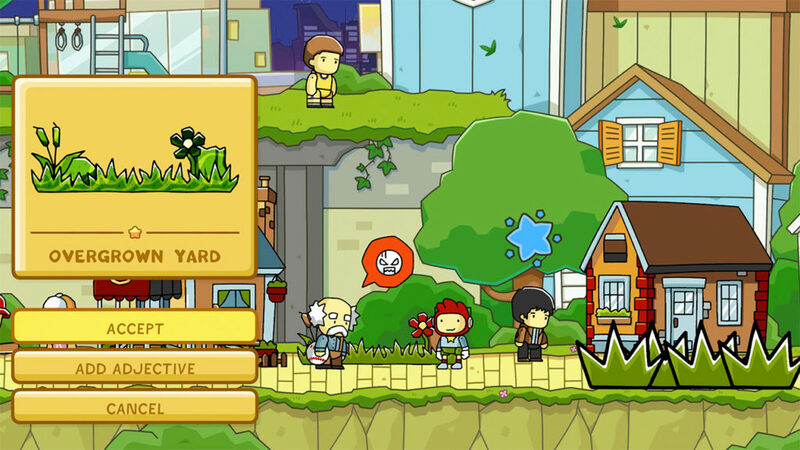 Both Scribblenauts Unlimited and Unmasked have a more story-based approach to their puzzles compared to the more traditional level or room-based puzzle format from which the series first spawned. But, if you’re a long time fan, don’t worry. For the most part, you’ll still be helping kittens off trees by summoning demons or, in the case of Unmasked, the superhero fighting equivalent of over-the-top solutions to simple problems. 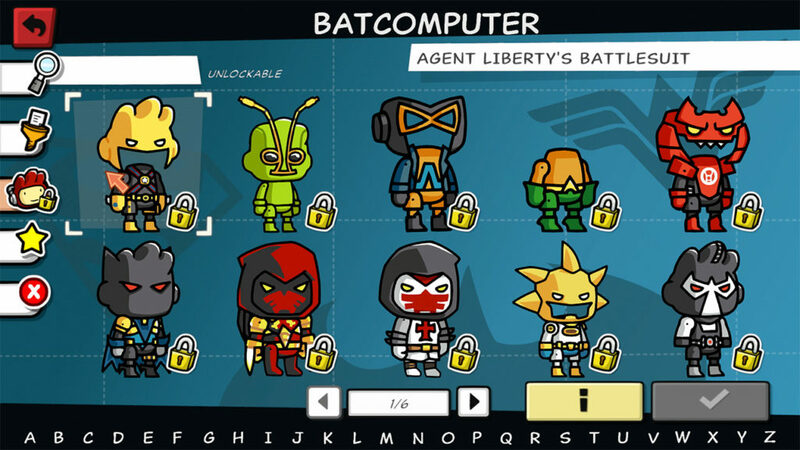 While Unlimited feels like a more opened up, and looser iteration of the more classic style of Scribblenauts, Unmasked changes it all by giving your notepad the ability to summon almost every single existing character from DC Comics: anything from as mainstream as Batman to as obscure as Ultra The Multi-Alien. Taking notes from LEGO action games, Unmasked also brings in an element of combative puzzle solving to the game that is sure to appease its target audience of kids. In fact, that’s where both titles shine the most: they’re the perfect kind of kid’s game that can be played alone or with an adult, as a cooperative effort. For adults alone, the repetitive nature of what the game’s offer might be a bit too much, but I can see nothing but a sea of possibilities in Scribblenauts’ creative world for a curious child. The novelty of Scribblenauts, with being able to type in whatever you’d like from the real world and have it conjured up, is still here. Much like the original game when I first played it, stopping progress just to type in whatever comes to mind seeing if it would show up can still be a pleasant time-waster. If I had this game at a young age, you can bet that’s what I would have done for the most part. Especially in Unmasked, its seemingly endless plethora of DC comic characters is a joy in itself, but the addition of a “Hero Creator” mode helps to add to that as well. That’s not to say that adults wouldn’t be able to enjoy this collection, but it’s as a game for children where I believe it shows its strengths. Unfortunately, the Switch version of the game doesn’t offer a touch keyboard, instead utilizing a rotary typing system. This system, I find, might be a little too difficult for the younger kids to grasp on their own, and lacks the very direct nature of typing or using the stylus in the original 3DS versions of these games. By no means is this a deal-breaker, and you do get used to the game’s weird button-based keyboard, but it’s definitely a missed opportunity considering the Switch’s capabilities. Ultimately, this little quirk aside, the Scribblenauts Mega Pack for Switch offers a good time and is generally as wholesome as you can get when it comes to finding entertaining yet sufficiently challenging games for family night. There’s just not much negative you can say when a series with such a simple concept executes it well and continues to do so with each iteration. Given the popularity of brainy games for kids, I couldn’t recommend something like this enough to parents who like solving puzzles and mysteries with their kids.